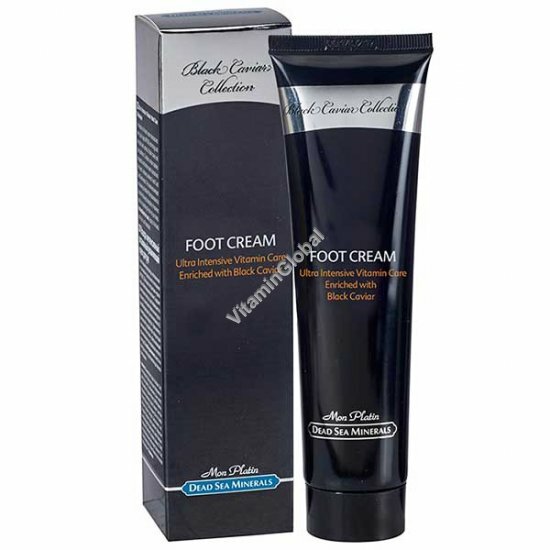 A rich, exclusive foot cream manufactured with MP269 dual stage absorbency technology and enriched with extract of black caviar and sea buckthorn oil. Contains unique care-intensive capsules designed to melt as the cream is spread onto the skin, releasing vitamins A and E and minerals and Dead Sea minerals. This cream was developed exclusively at the Mon Platin Dead Sea Minerals laboratories to boost the thorough absorption of essences vital for nourishing the skin of your feet. Directions for use: Apply to the feet and allow product to soak into skin. Under Israel Ministry of Health License.